The new Leonardo da Vinci show is now open at the Berkshire Museum. 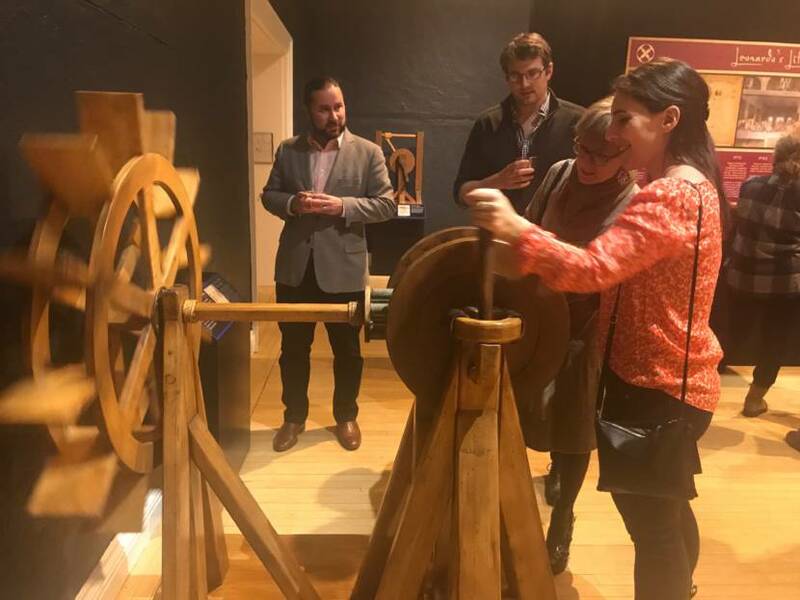 A new exhibit, “Leonardo da Vinci: Machines in Motion,” has opened at the Berkshire Museum, and had its first public showing on Friday, February 8. This is not your ordinary museum exhibit, where you stand back and observe the objects from a safe distance. This exhibit shouts out, “Join in. Pull the levers. Turn the handles. Learn by doing.” And judging from the people of all ages who came on Friday night and tried things out, this exhibit will be fun for the whole family – children, parents and grandparents. 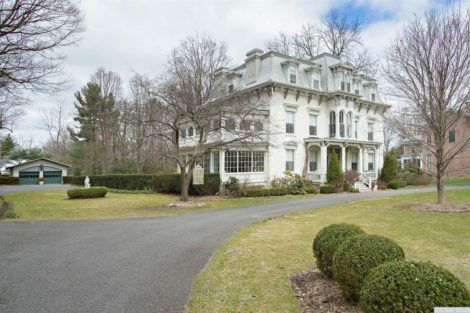 It will run until May 19, but don’t wait until the last minute. 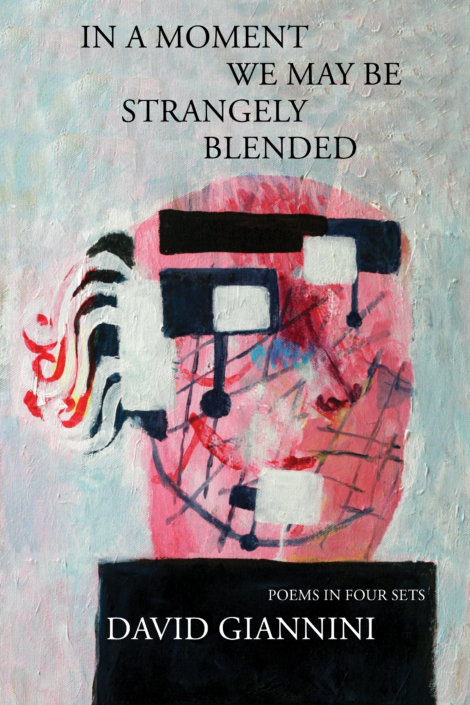 Judging from the attendance on Friday night, this will be popular, and you may want to come more than once. 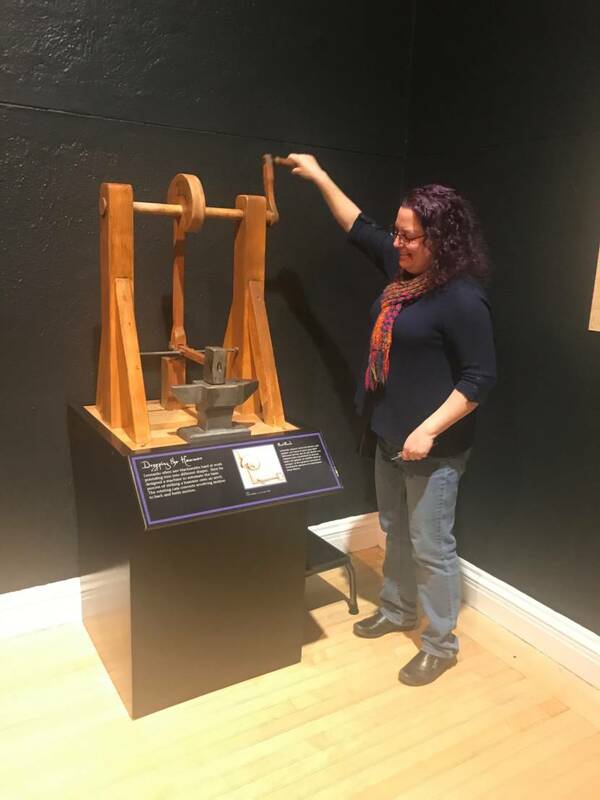 Alisa Costa of Pittsfield operates “Dropping the Hammer.” Leonardo designed this machine to automate the process of striking a hammer onto an anvil. 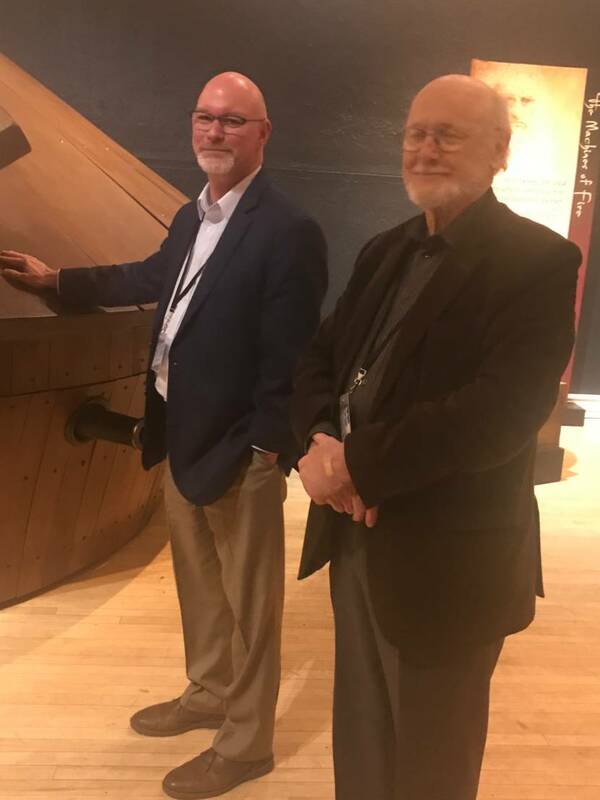 Visitors have the chance to test Leonardo da Vinci’s way-before-his-time innovations – 40 full-size, true-to-design working models of his Renaissance inventions, and the 500-year-old drawings used to construct them. 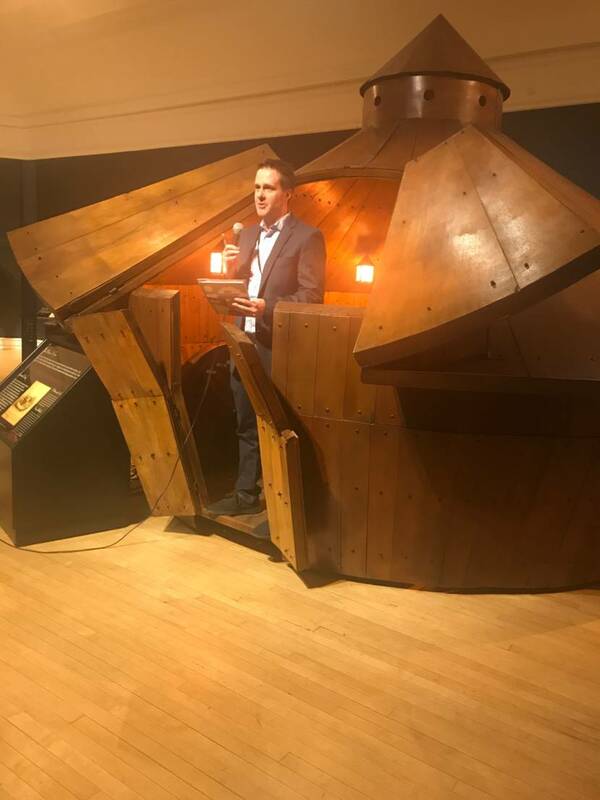 Each mechanism was meticulously built by a group of scientists and skilled artisans in collaboration with the Leonardo da Vinci Museum in Florence, Italy. The artist’s instructions were carried out using the tools, techniques and materials that were available during his era. 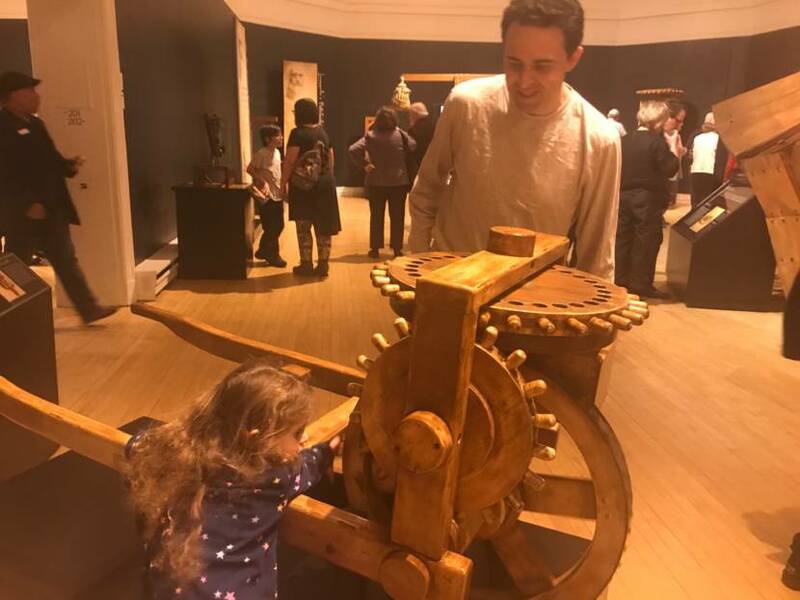 Jason Touhey of Lanesborough and his daughter Lily try out “Measuring the Miles,” Leonardo’s version of an ancient odometer, a machine for measuring distances. Come step inside a wooden battle tank, discover Leonardo’s flying machines including the ornithopter and flying bicycle, and more. 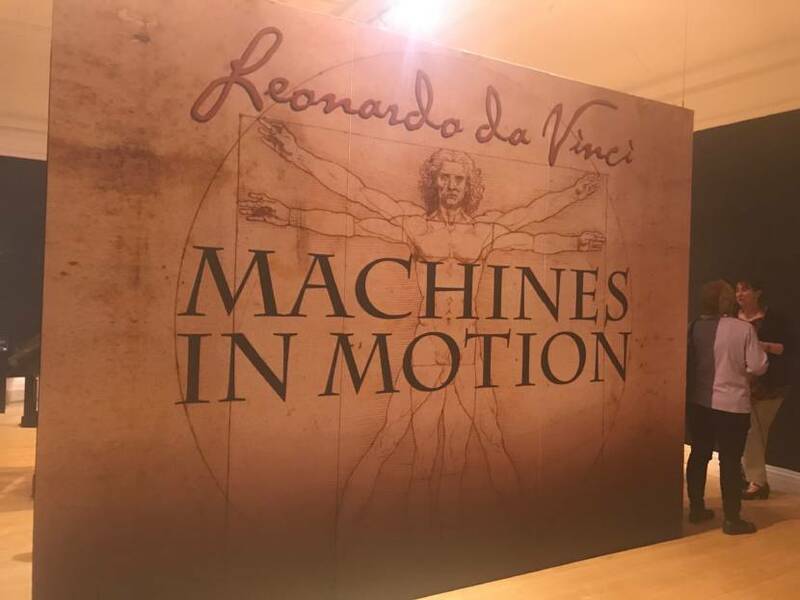 The 40 extraordinary machines in the exhibition are grouped into four sections, based upon their relevance to the four elements – fire, water, earth, and air – which held a strong fascination for Leonardo da Vinci. Charlotte Green (right) and Michael Alexander (left) both teachers at Miss Hall’s School in Pittsfield, check out the exhibit in anticipation of bringing 46 9th graders to see it in March. They’ve just finished teaching a unit on Renaissance Italy, and this exhibit will fit right in. Looking on are William Dore, Collections Associate/Preparator at the Museum, and Anne Keith. Under “Fire,” you will find machines for military use, such as the cannon and machine gun. Highlights include an armored vehicle, a moving wooden battle tank large enough for visitors to step inside. The “Water” section features machines that use water pressure to relay energy as well as equipment intended to enable a man to walk on water and a large webbed glove, similar to a flipper, meant to accelerate swimming. Under “Earth,” try your hand at inventions like the crane, the printing press, the oil press, theatrical machines, and even a robot. 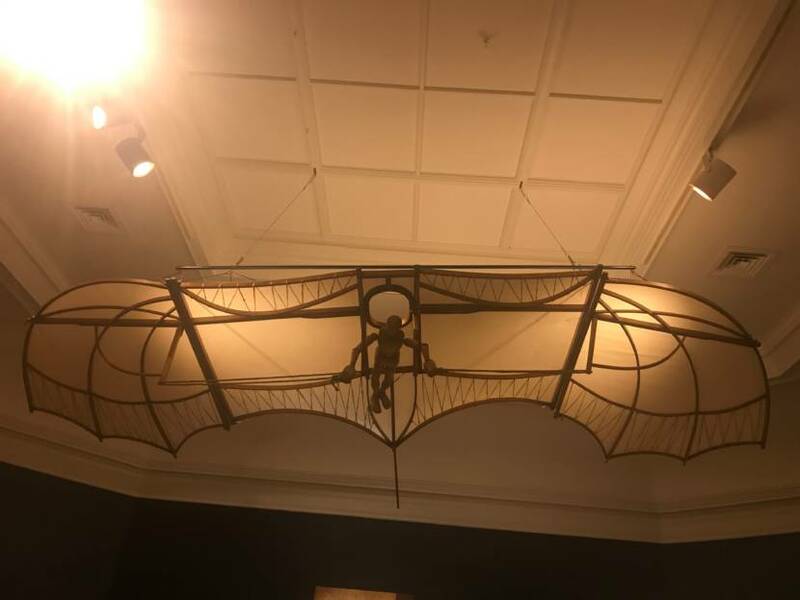 Leonardo was famously fascinated by flight, and in the “Air” category visitors will discover several models of flying machines, from the ornithopter (a device with mechanical wings), to an early type of hang glider, a parachute, and a flying bicycle. Leonardo’s prototype glider hangs above the exhibit. 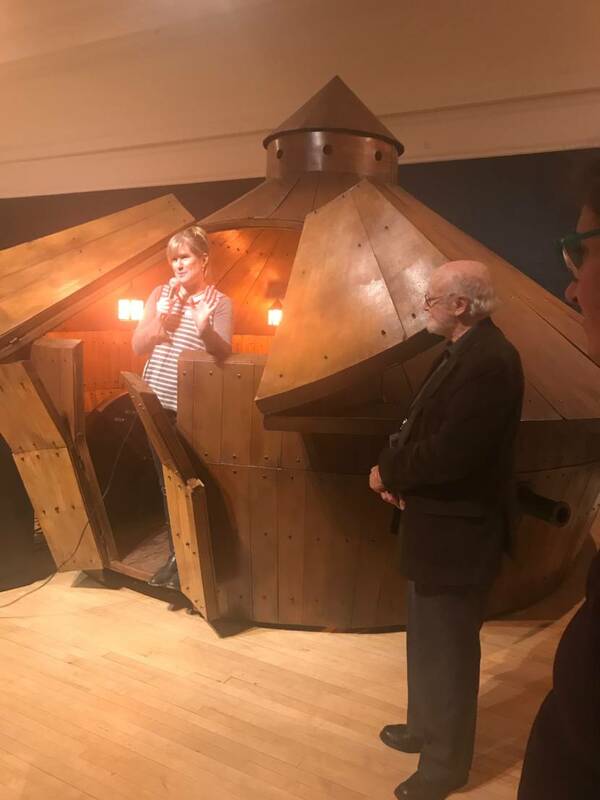 Elizabeth “Buzz” McGraw, president of the Museum’s Board of Trustees, stands at the entrance to Leonardo’s wooden tank to welcome visitors while Dr. David Ellis, the museum’s interim executive director, looks on. Craig Langlois, the museum’s Chief Experience Officer, describes how this exhibit helps fulfilll the educational mission of the museum. And while you’re at the museum, don’t forget also to check out the other new exhibit that opened February 1, “Their Stories: Oral Histories from the NAACP.” Explore the history of African Americans in the Berkshires through stunning photos, objects from the museum’s collection and, especially, compelling recordings of stories from today’s local leaders from the Berkshire community and the Berkshire chapter of the NAACP. Jeff Rodgers (left), the newly appointed museum director who will begin on April 1, with Dr. David Ellis. 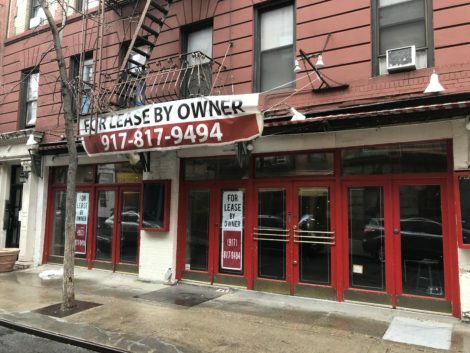 Welcome to Real Estate Friday! When you come to a fork in the road, take it.